Alectinib prevented disease progression for a median of 15 months or longer, delayed the time to brain metastases, and was associated with fewer side effects compared with crizotinib (Xalkori), the current standard of care, said lead investigator Alice T. Shaw, MD, PhD, Director, Center for Thoracic Cancers, Massachusetts General Hospital Cancer Center, Boston. “This is the first head-to-head trial to compare a next-generation ALK inhibitor with the standard of care, crizotinib,” said Dr Shaw. “This global study establishes alectinib as the new standard of care for initial treatment in this setting. Alectinib was especially beneficial in controlling and preventing brain metastases, which can have a major impact on patients’ quality of life,” she added. The majority of patients with ALK mutation–positive NSCLC who receive crizotinib have resistance and disease progression, and the brain is the most common site of disease progression. Alectinib is a more potent ALK inhibitor than crizotinib and is better able to penetrate the central nervous system (CNS). Alectinib is FDA approved for patients with NSCLC plus ALK mutation that did not respond to crizotinib therapy. The ALEX clinical trial involved 303 patients with ALK-positive advanced or metastatic NSCLC who did not receive therapy for metastatic disease. Patients were randomized in a 1:1 ratio to alectinib 600 mg twice daily or to crizotinib 250 mg twice daily. Patients with CNS metastases were allowed to participate in the study. 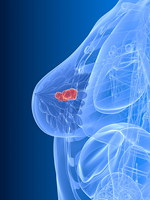 The study met its primary end point of prolonged progression-free survival (PFS). The median PFS was not yet reached with alectinib versus 11.1 months with crizotinib, representing a 53% risk reduction for disease progression (P <.0001). Results were similar in an independent review, with a median PFS of 25.4 months with alectinib versus 10.4 months with crizotinib. “This represents more than a doubling of progression-free survival,” said Dr Shaw. “Nobody expected it would be possible to delay advanced lung cancer progression by this much. Most targeted therapies for lung cancer are associated with a median progression-free survival of roughly 12 months,” she added. Alectinib achieved an 84% risk reduction for CNS progression versus crizotinib. Brain metastases were reported in 9% of patients in the alectinib group versus 41% in the crizotinib group. Alectinib therapy was associated with fewer side effects versus crizotinib therapy. The rate of grade 3 to 5 adverse events was 41% with alectinib and 50% with crizotinib. In addition, patients who received alectinib had fewer treatment interruptions, dose reductions, or discontinuations versus patients who received crizotinib. Results of the ALEX study were greeted with enthusiasm at a press conference. “This is a watershed moment in the treatment of ALK-positive NSCLC. Often, studies show only incremental improvements with a new treatment. This is different. Alectinib shows a dramatic increase in efficacy that is also accompanied by better tolerability,” stated ASCO expert John V. Heymach, MD, PhD, Chairman, Department of Thoracic/Head and Neck Medical Oncology, M.D. Anderson Cancer Center, Houston. “I firmly agree with Dr Shaw. This is a new standard of care for first-line ALK-positive lung cancer,” said Dr Heymach.